This species was formerly placed in the genus Ischnocnema, and it's a shame that it was reclassified, because "Ischnocnema" is *so* much more fun to say than "Oreobates". 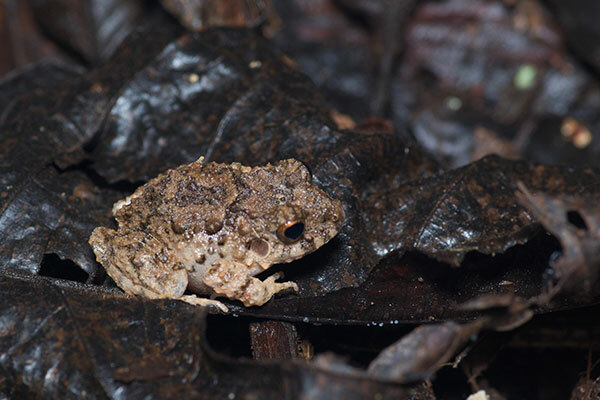 These bumpy big-headed fellows were reminiscent of toads, except that they could jump a lot farther. 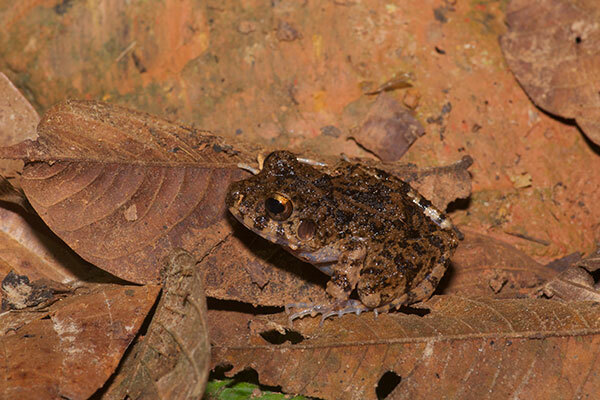 True to their name, they were one of the most common frog species in the Peruvian rainforest. This one is hunkering down because it's under the impression that doing so will prevent the big bad photographer from being able to see it. 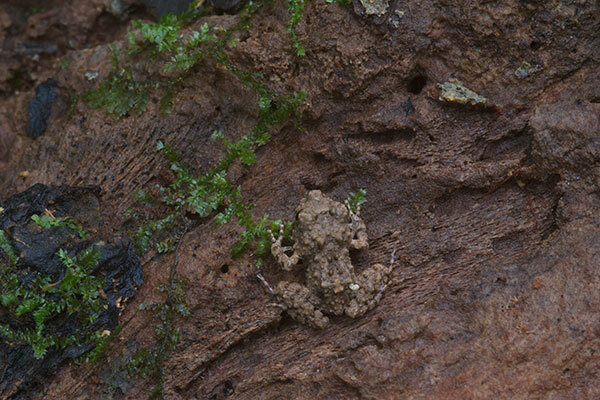 I'm guessing that this tiny little mud-mimicking frog was a very young Oreobates quixensis, but I'm not certain. Here's a full-grown adult looking oh so very earnest. 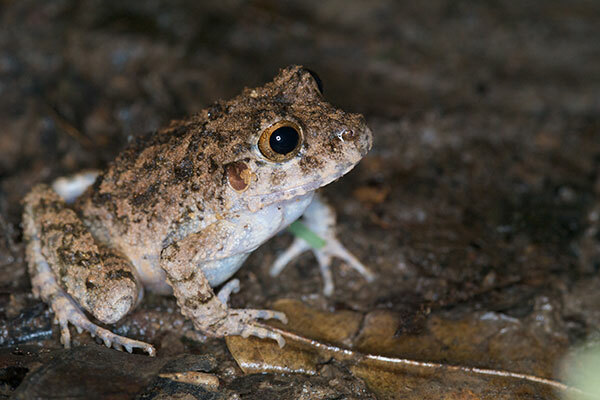 The Common Big-headed Rain Frog is a sincere frog. A year later, here's another tiny little one. 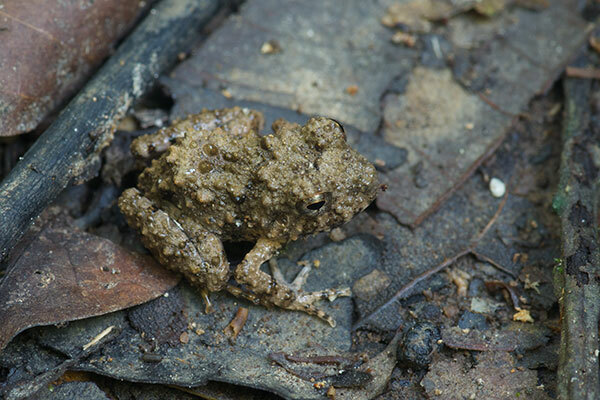 This is either another very young Oreobates quixensis, or another of the same little mud-mimicking frog that I saw last year. I didn't see as many of these frogs this time as I did last year, but they were still among the most commonly-seen frogs. Here's a medium-sized one that Matt Cage noticed while we were hiking together. 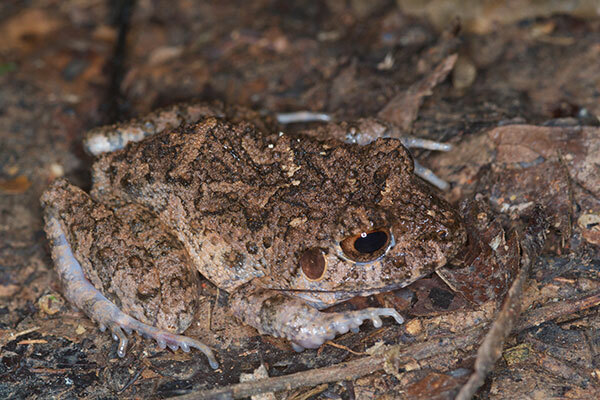 Here's one more of these cute big-headed frogs, from my third trip to the area.